Here at Barnacre Road, we do a Pupil Voice Project every year. 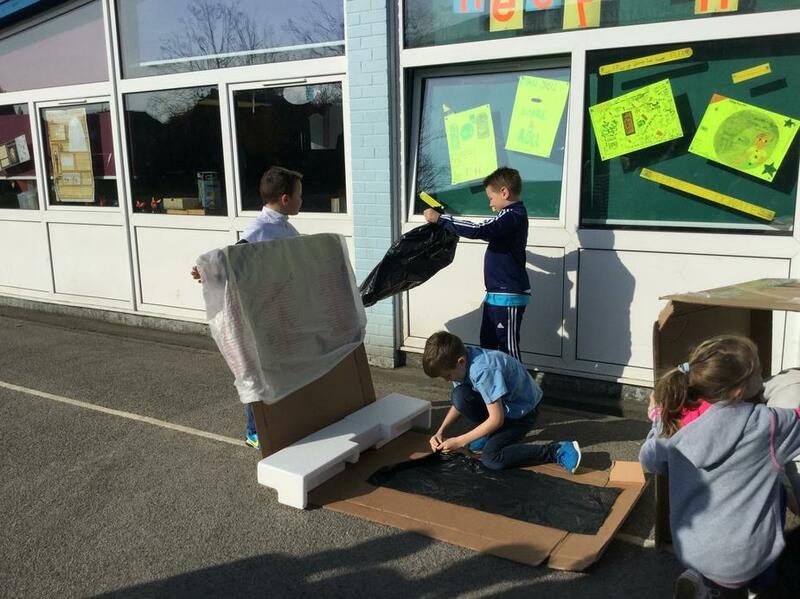 All the children in our class have the opportunity to choose a topic they would like to learn about. They prepare a presentation which they show to the whole class. The children then vote on the topic they like best. We then learn about this topic for two whole weeks! This year, we had lots to choose from, including artists around the world (pictured below), space, Pendle witches, the jungle, the Vikings and homelessness. It was this last topic which received the most votes! 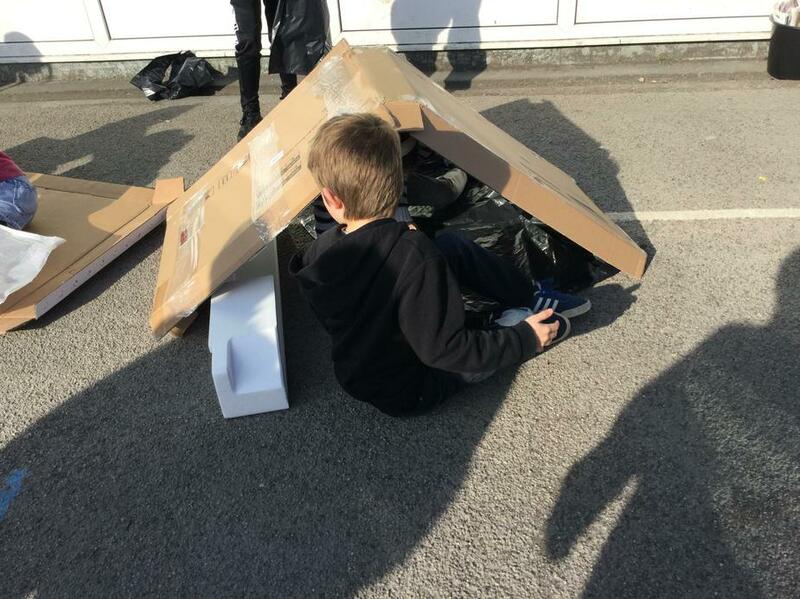 Here we tried to make a warm, waterproof and windproof shelter using cardboard and bags. It was so windy, any shelter we made did not last very long! They were not waterproof either! 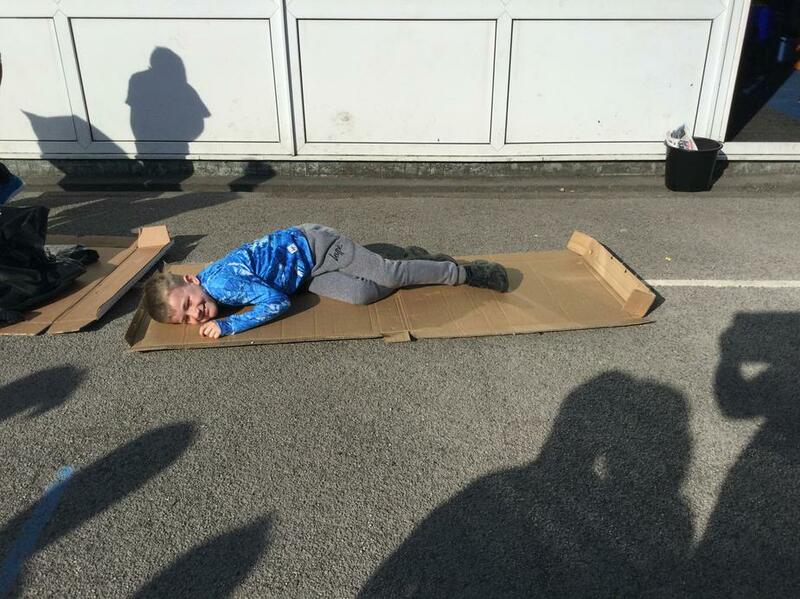 We also tried lying on the cardboard. 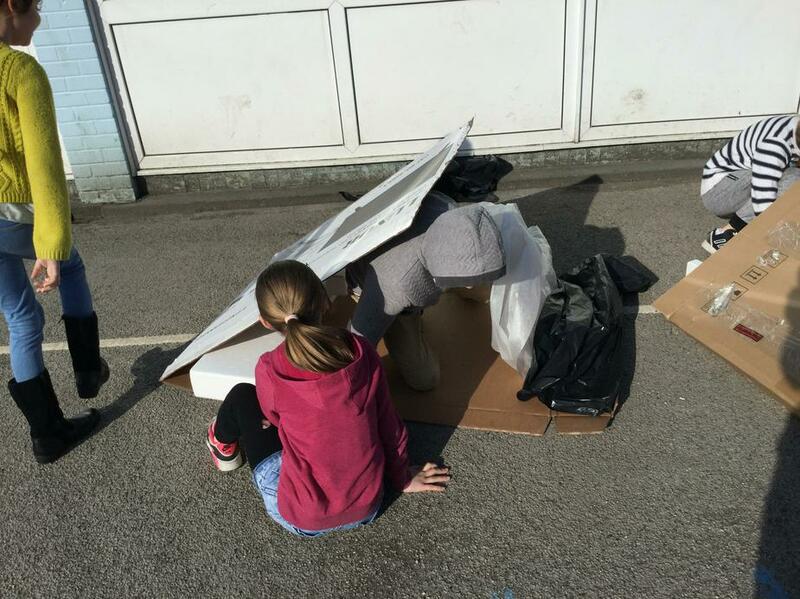 We understood that people who are homeless must find it hard to sleep and stay warm and dry at night. It made us think long and hard about how lucky we are! 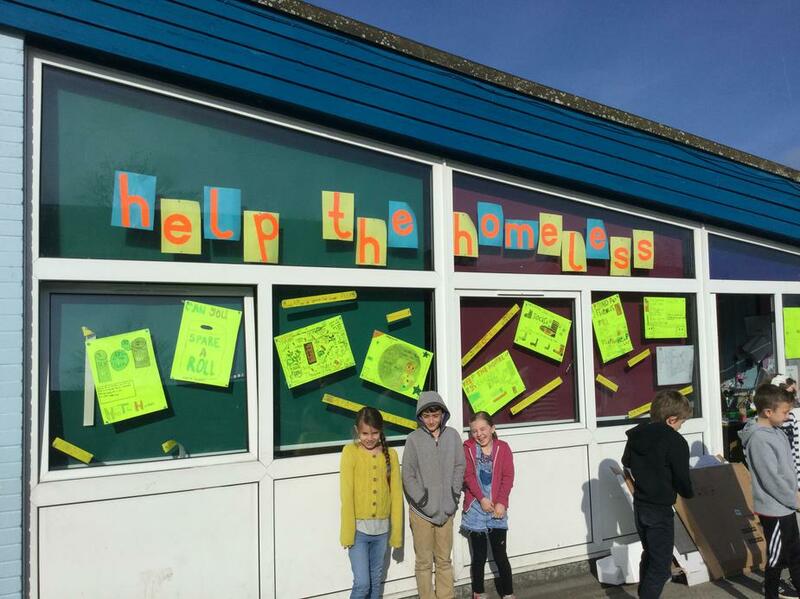 Can you see the brightly coloured posters in the window of our classroom? They are advertising for items to donate to the Fox Street Homeless Shelter in Preston. They are also advertising a flapjack sale. In class, we thought about the language we could use in the posters that would encourage people to get involved. We came up with some catchy slogansWe all took turns to help make flapjack in our school kitchen which we then sold to parents. Some parents also donated extra cakes for us to sell. 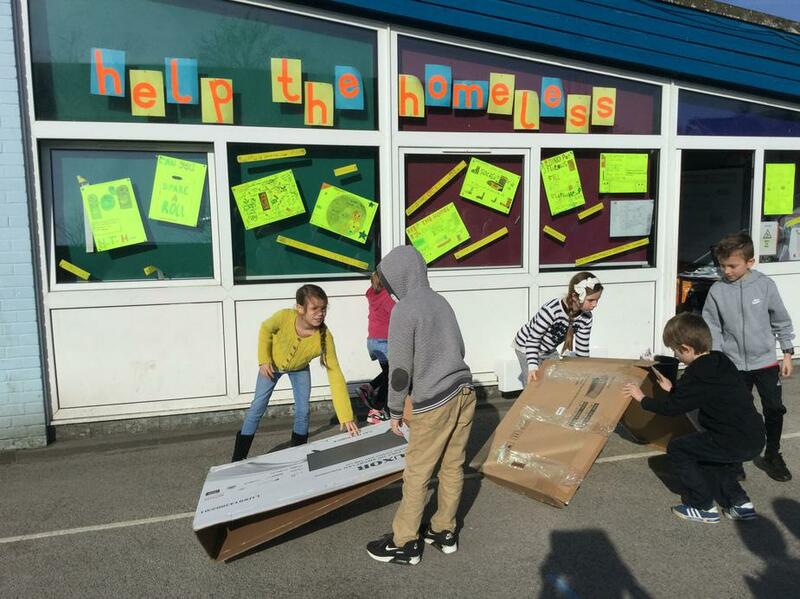 We raised a lot of money for the shelter and received many items, such as new socks, toiletries and tins of food for the shelter so we could do a little bit to help the homeless of Preston. Here we are making the flapjack and selling it. 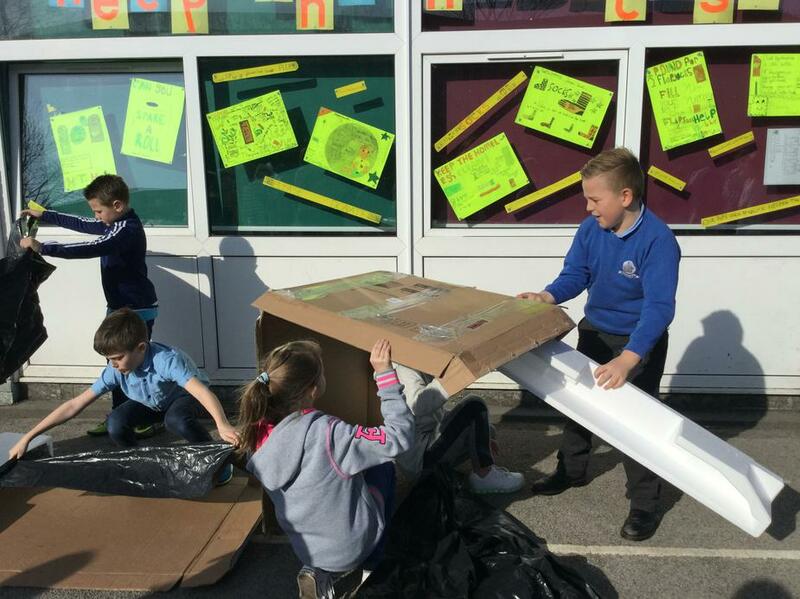 After our experiences with the cardboard, we really thought hard about our own lives and the fact that we have homes, not just houses to live in. Here are our thoughts around the subject which we then turned into poems. You will see an example of one of our poems beneath that. But we don’t give a care. If you just stand and stare. When you’re on your own. When gloominess is your friend. And it feels like it won’t end. 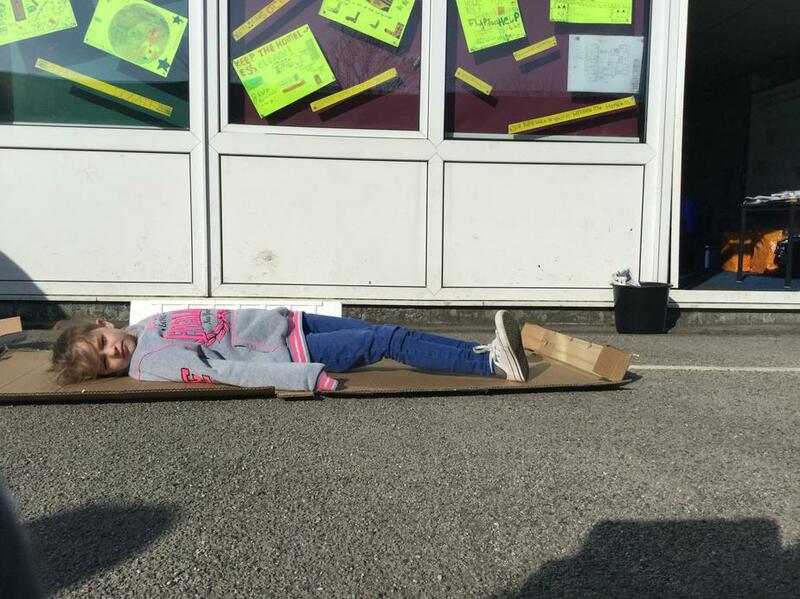 We were lucky enough to raise £131.55 for Fox Street Homeless shelter. with some of the items that were donated by parents.